Underground Cinema 12 was a midnight movie screening series of underground films that ran in theaters owned by Louis Sher, who founded "the nation's largest circuit of art houses" in 1954. While Sher was the head of the Art Theatre Guild, Underground Cinema 12 was run by his nephew Mike Getz. 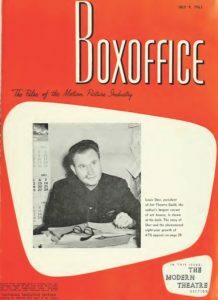 The series began at the Cinema Theater in Hollywood, California on Columbus Day 1963; and when it proved to be a big hit there, Getz came up with the idea to run the series at all of his uncle's theaters. A program would run on a Saturday night at one theater, then that theater would ship the films to the next theater, and so on. In 1939, as Britain waged war with Germany, filmmaker Len Lye stayed in London to work; and visited his pregnant wife Jane and their son Bix, who had evacuated the city to stay at a friend's farm in Scotland, on the weekends. According to Len Lye: A Biography by Roger Horrocks, Lye was too old (38) and recovering from an appendectomy to fight in the war. Struggling for money, Lye found a financial respite when the British Council for the Travel and Industrial Development Association agreed to sponsor a new film. 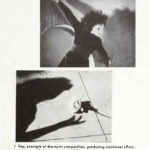 In 1945, Maya Deren was awarded an Honorable Mention for her first film, Meshes of the Afternoon (1943), by the Amateur Cinema League. This film, co-directed with her husband Alexander Hammid, would go on to become one of the most influential avant-garde films of the 20th Century.